Johannesburg- Newly suspended top Eskom executive Matshela Koko is facing four new charges, including that of misleading Parliament, according to his suspension letter and an internal Eskom charge sheet. The letter, which Fin24 has a copy of, was written by Eskom's interim group CEO Phakamani Hadebe. “In this regard you sought to give the false impression that you were at best peripherally involved in these matters and had in fact 'opposed' making payments to Trillian," the letter reads. "In fact you sought and carried a direct mandate from the Board and Board Tender Committee in relation to the McKinsey contracts, you were a central figure in the negotiation of the relevant contract”, the charge sheet reads. The second charge is that Koko breached his fiduciary and statutory duties and responsibilities as acting group chief executive of Eskom in relation to the R600m payment to Gupta-linked company Trillian. The Asset Forfeiture Unit has obtained an urgent high court order to seize and preserve assets belonging Trillian and global consulting firm McKinsey for the nearly R1.6bn they received from the state-owned enterprise without a valid contract being in place. Koko’s third charge relates to failing to declare a conflict of interest and receiving benefits from a third party. Hadebe states that he failed to declare trips to Dubai paid for by a third party and associate of the Gupta family, in December 2015 and January 2016, and he failed to record these on Eskom’s Business Courtesies Register. Eskom’s fourth charge against Koko is that he distributed confidential Eskom documents in November 2015 to people associated with the Gupta family, using his personal email account which was intended to disguise this. Koko was reinstated as Eskom's head of generation on January 3 2017 after he was cleared of wrongdoing in a disciplinary hearing in December. In that hearing he had faced six charges including that of failing to declare that his stepdaughter Koketso Choma was a director at Impulse International, a company which received contracts from the division Koko headed up. Opposition parties and lobby groups described the disciplinary process as a sham. 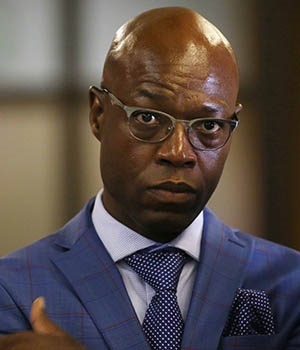 Finance Minister Malusi Gigaba appealed to Koko to resign ‘in the interest of the country’ after Eskom's new board was appointed earlier in January. But Koko rejected the new board's ultimatum to resign within 24 hours or be fired. He instead took the matter on an urgent basis to the Labour Court, which issued an interim order restraining Eskom from firing him on January 26. Hadebe writes in his letter to Koko there were concerns that Eskom would "collapse" while he was a senior executive and acting CEO. He notes that Koko has been critical of the parliamentary investigation into Eskom, and is also likely to be called to testify at the upcoming state capture inquiry. Hadebe writes that it’s not in the public interest for Koko to remain in his position while these investigations are ongoing. Koko was given until 10:00 on January 31 to make representations as to why his suspension shouldn’t be made final. His lawyer Asger Gani confirmed to Fin24 that he had met the deadline to make representations. Koko told Fin24 by phone on Wednesday evening that he has "a clean conscience". "I walk with my chin up… I am a victim,” he said. He said that he welcomes every opportunity to clear his name and that he wants the disciplinary hearing to be open to the media as ultimately people will decide who is telling the truth.